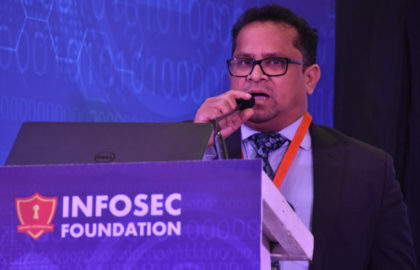 Mr. Azim U. Hoque is the founder President of University IT Forum, Co-Founder of Cyber Security Forum, EC Members of CTO Forum of Bangladesh, and Deputy Director (IT) of North South University, Dhaka. 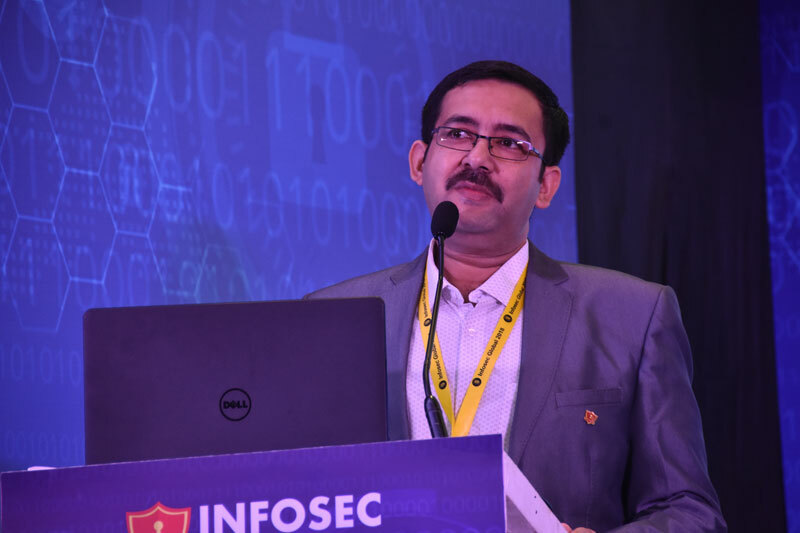 Mr. Hoque has over 20 years hands-on experience in an extensive IP networks, UNIX System, Cybersecurity and consults in information technology with a focus on cybersecurity and forensic. Mr. Hoque is a renowned cybersecurity expert with deep specialization in defense-in-depth strategies and cybercrime investigation tactics. 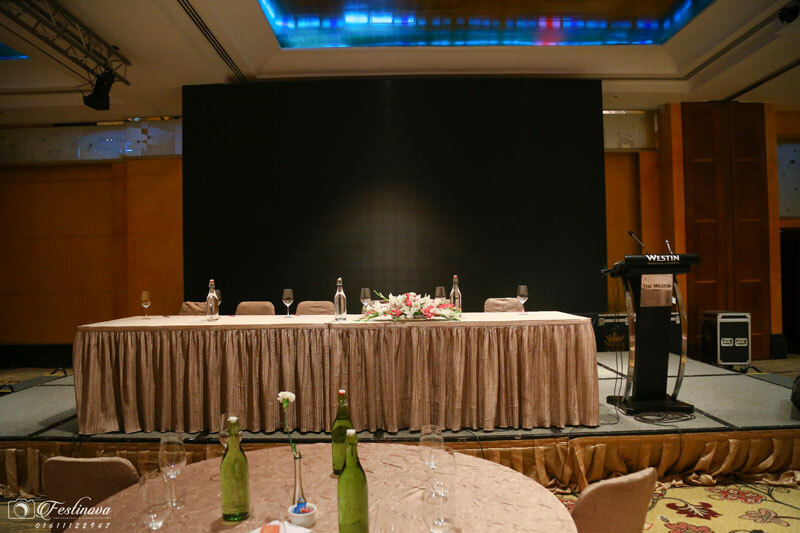 He is frequently quoted in industry news sources and is often a keynote speaker, panelist, moderator, corporate/startup advisor, trainer, practitioner, columnist and media analyst at national, international, and regional events. 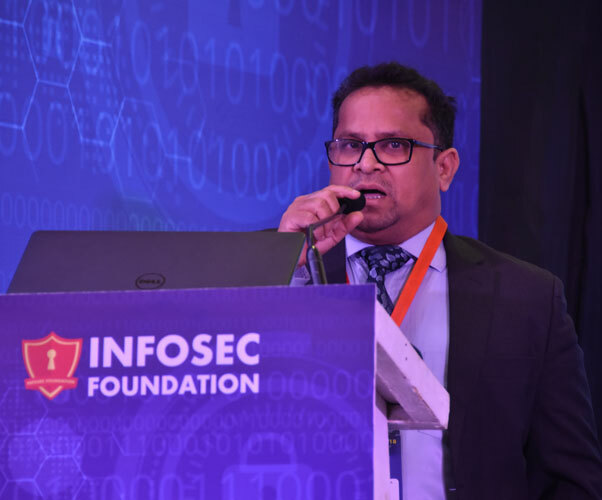 Mr. Hoque is working a cybersecurity public awareness campaign aimed at escalation the understanding of cybersecurity threats, vulnerabilities, and countermeasure to prevent inside and outside attacks and empowering the Bangladeshi public to be safer and more secure online. 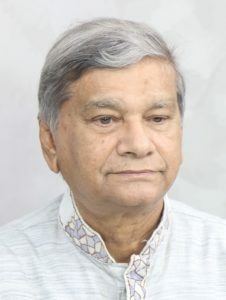 Dr. Muhamad Abdul Mazid, retired Secretary to the Government of Bangladesh and former Chairman of the National Board of Revenue (NBR), was appointed as the new Chairman of Chittagong Stock Exchange (CSE) for three years (2014-2017) in line with the Exchange Demutualization Act, 2013. He was Chairman of South Asian Federation of Exchanges (SAFE) and represented the Stock Exchanges of the South Asian Region in the BCIM-EC initiatives . 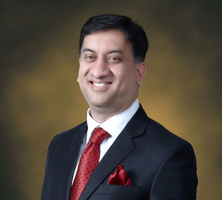 Dr. Mazid, currently is the Adviser of the Bangladesh’s largest and ground-breaking conglomerate A K Khan and Company Limited . 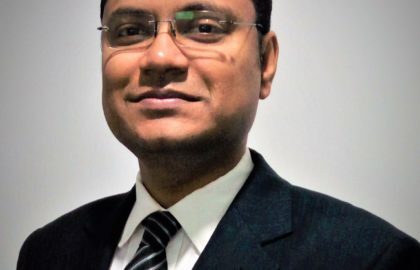 A post graduate from the University of Dhaka in English Literature, Dr Mazid pursued further education in Oxford , UK , did his PhD in Social Science (the theme of the thesis: Agro Economy in the Coastal Belt of Bangladesh.) from Victoria University , Delaware , USA. Dr Mazid started his career with Bangladesh Bank ( Central Bank of Bangladesh ), joined the Bangladesh Civil Service as a member of the Audit and Accounts cadre in 1981. Prior to retiring as the Senior Secretary of the Ministry of Finance , Dr . Mazid worked in many senior positions of the Public Services, in the public finance sector in particular. 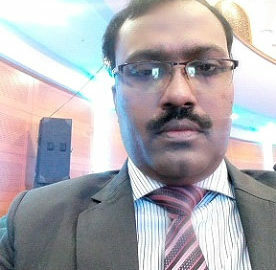 He was a member in the Bangladesh Planning Commission, hold senior positions in the Finance Division, and Economic Relations Division ( ERD) of Ministry of Finance . 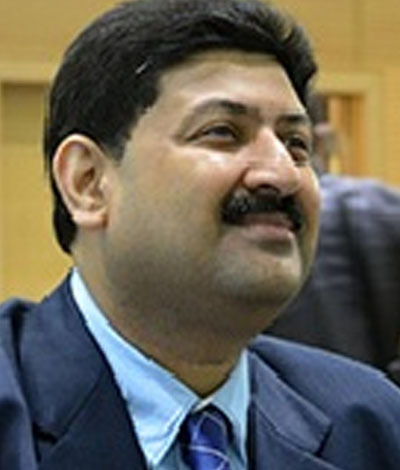 He was Director of Foreign Investment and Policy Planning in Board of Investment (BOI) . Dr Mazid served as a trade diplomat ( Commercial Counsellor) for six years (1994-2000) stationed at the Bangladesh Embassy in Tokyo, Japan. Dr. Mazid has had over 35 years’ experience of working in the private and public finance sector. He worked with UN Board of Auditors in UN HQ ,NY , was a member of the Aid Harmonization Committee representing the Asia Pacific Group in OECD, Paris and was inducted in the Draft Committee of the Paris Declaration, 2005. 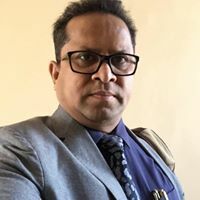 He has been a member of the International Training and Development ( ITD) , UK , a resource person in the training academies like Bangladesh Public Administration Training Center, National Defense College, Civil Service College, Bangladesh Bank Training Academy etc. 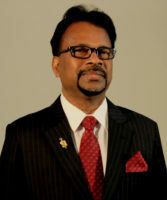 He has been a visiting faculty in the Ahsanullah University of Science and Technology (AUST), Daffodils International University ( DIU) and University of Information Technology and Science (UITS). Apart from showing excellences as a public servant, Dr. Mazid has proved his proficiency in writing as well. He authored 28 books on literature and Socio-economic- cultural –diplomacy. He is regular contributor in national dailies, SAFE publication and international journals. 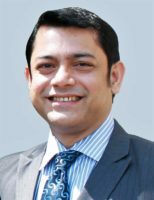 He is a member of the Governing Board of Human Development Foundation, Bangladesh NGO Foundation, International Business Forum of Bangladesh (IBFB) and HeidelbergCement Bangladesh Limited. He was the former Treasurer of the Asiatic Society of Bangladesh and is now the Treasurer of Dhaka Ahsania Mission and Center for Zakat Management. Spanning more than 20 years, Mr. Ahmed possesses an extensive career in the banking and finance industry. 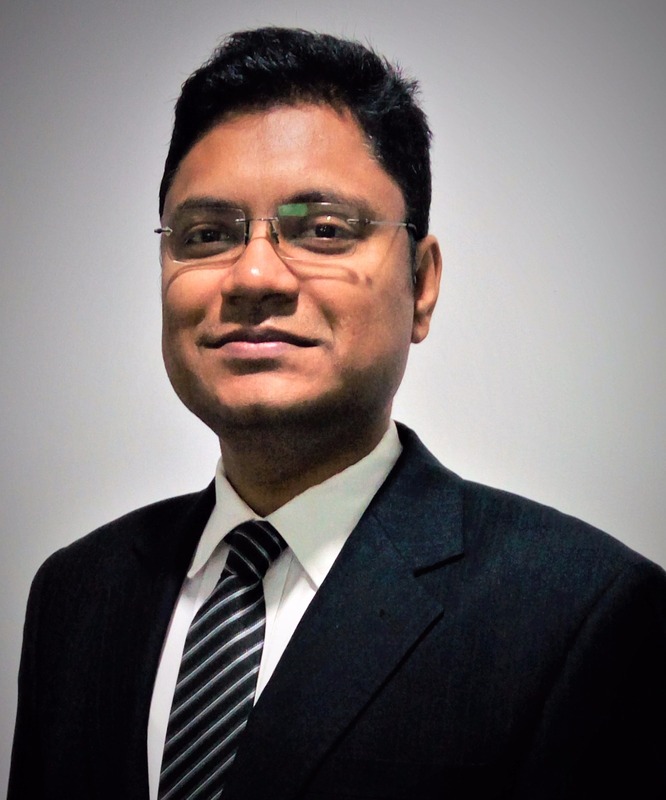 Majoring in Finance from the University of Dhaka, he started his career at Southeast Bank where he was responsible for the credit-related activities of the bank. 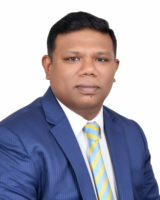 Starting his career as a management trainee, Mr Ahmed worked in various roles with several reputed commercial banks in Bangladesh for significant periods of his career prior to joining the GDIC Group in 2009 and subsequently taking over the role as an Additional Managing Director and Company Secretary. He is currently working as Chief Technology Officer of a2i Program, ICT Division. He is leading a2i’s Technology Team that deals with different large-scale nationwide e-service initiatives including National Portal, Paperless Office Platform, National Single Sign-on platform, Land Systems Computerization, Citizen Application Platform and related ICT Solutions. He is actively involved in National ICT Infrastructure development, National Cyber Security initiative, ICT related policy, ICT Audit, guideline and strategy issues. He worked with different audit farms and actively worked as IT Auditor for Banks, NGOs and IT Companies. Arfe Elahi Manik is Computer Science graduate and Masters in Business Administration. He is Certified Information Systems Auditor [CISA], CISCO Certified Network Professional and Microsoft Certified Professional. He is member of ISACA USA and Bangladesh Computer Society. Currently he is Vice President ISACA Dhaka Chapter and Joint Secretary of CTO Forum Bangladesh. Mr Elahi worked in many countries in Asia and Africa region including Indonesia, Srilanka, India, Pakistan, Afghanistan, Liberia, Sierra Leone, Sudan, Uganda, Tanzania and Kenya for improving their e-Governance Infrastructure. He conducted various IT based study, training and workshops in different countries. 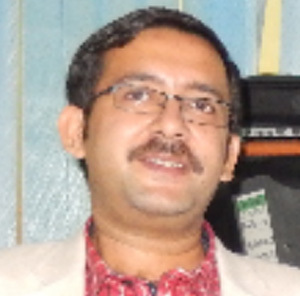 Mr. Tapan Kanti Sarkar has been awarded as CTO of the Year 2014 by ICT Division of Bangladesh Government and Bangladesh Computer Samity (BCS). Mr. Sarkar has more than 38 years of experience in the field of Information and Communication Technology. He did his graduation with Honors from Chittagong University and completed Masters from Dhaka University and studied MS in Computer Science from USA. He started his career in 1980 as a Programmer in a multinational pharmaceutical company, named Bristol-Myers Squibb with overseas assignment in Egypt & USA. Then he worked as MIS Manager at Beximco Group and worked as Head of IT & CIO at IFIC Bank. Lastly he worked with NCC Bank as Chief Technology Officer from 2007 to 2015. 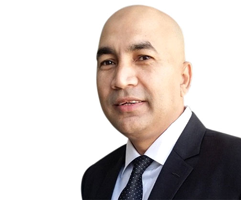 Now, he is the Managing Director of ADN EduServices Ltd. ADN Eduservices is dedicated to provide high quality IT Education & services through the center of Excellence. 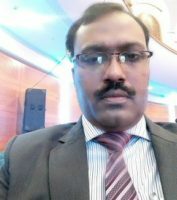 He has long experience in strategic alignment of Business and Information Technology by applying most cost effective & innovative techniques. He successfully managed various Mission-Critical IT Projects both in Banking and Large Enterprise. 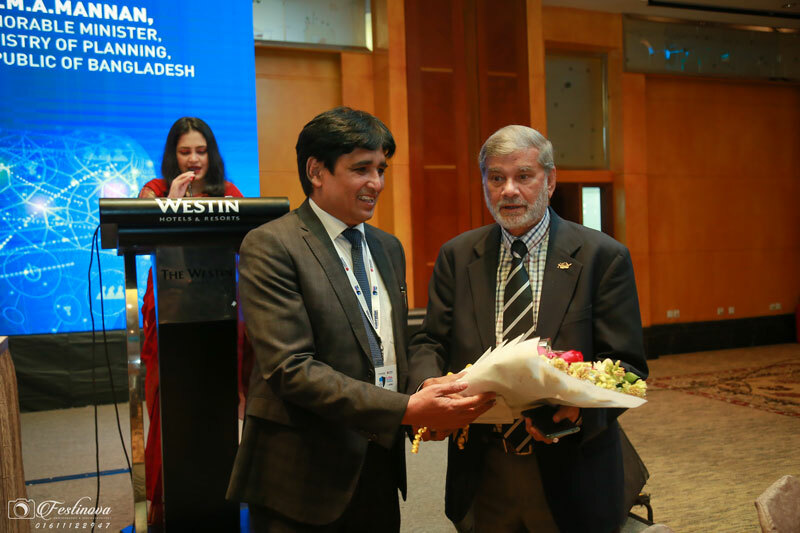 In the First CIO Conference of SAARC Countries, he represented Bangladesh and presented keynote paper. 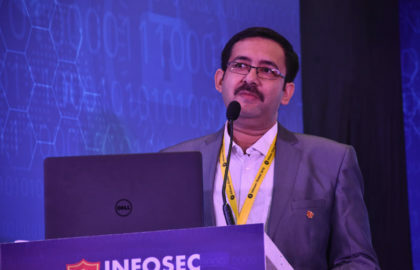 He has delivered many key note papers on various critical IT Issues like Enterprise ICT Security, Online Fraud Prevention, Information Security (IS) Audit & Control, Electronic Banking & its Prospects in different IT Seminars/workshops and in training institutes within the country and abroad as well. Many of his articles are published in all reputed newspaper. His most recent achievement is prepare 1st concept paper of National Data Center for Ministry of ICT. 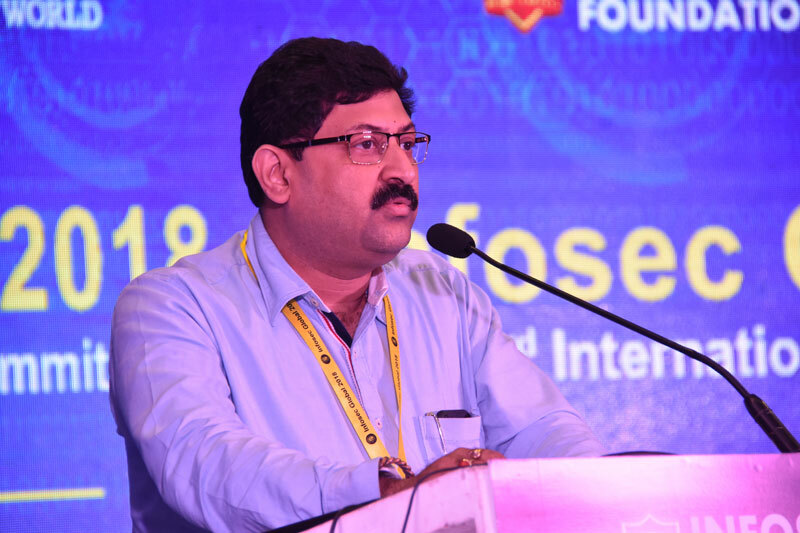 Mr. Sarkar has been tireless and selfless in his efforts to make the CTO Forum a community of experts to share knowledge with each-other and discussed on different new technologies and innovation that can be implement in business enterprise to get better outcome. 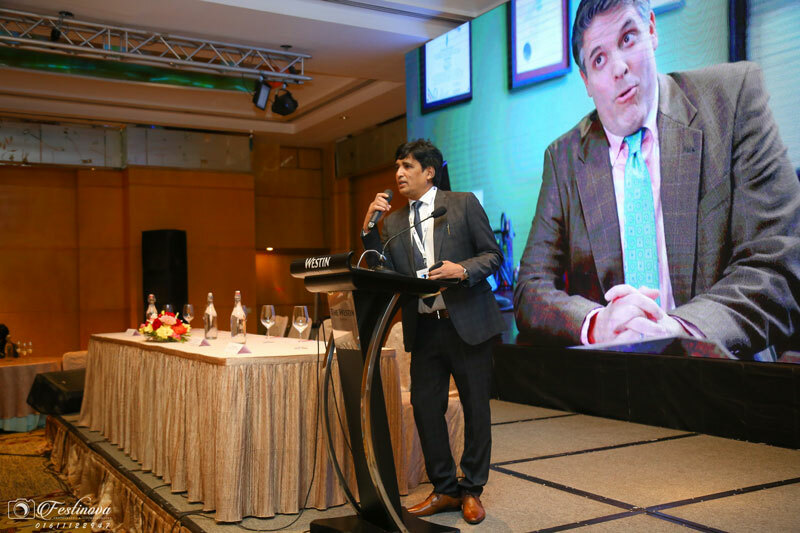 He leads CTO Forum Bangladesh that also arrange seminars, workshops to enhance skills and aware the mass people of using ICT, which has yielded achievement to him. 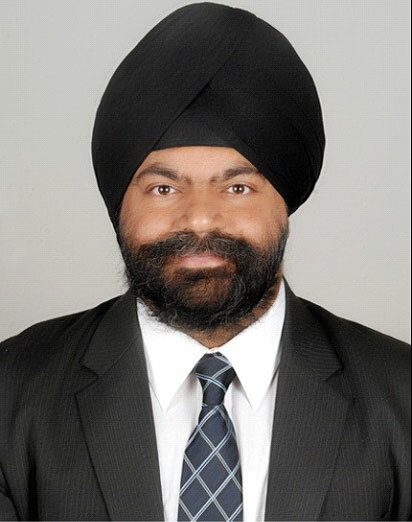 Jaspreet is a Partner with EY India in the Advisory practice, leading Cyber Security solutions focusing on the Telecom Media and Technology sector and Industrial, infrastructure and FMCG sector. He leads the GDPR practice for North region for EY India. 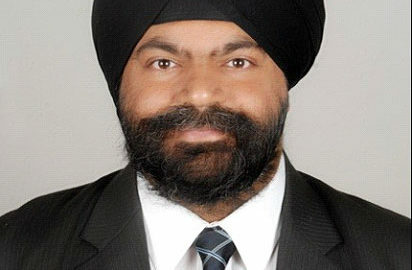 Jaspreet holds an MBA (Systems) and a Bachelor of Computer Applications degree. Jaspreet is a Certified Business Continuity Professional (CBCP), Certified Ethical hacker (CEH), Certified Information Security Auditor (CISA), Certified Implementer of ISO 22301 (2012) and ISO 27001 (2013) to mention a few. Jaspreet has been instrumental in setting up and leading the BCP practice at EY. 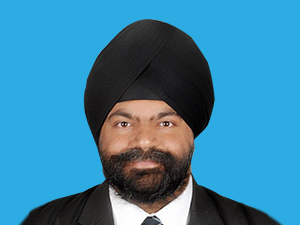 Jaspreet has over 12 years of experience in handling cyber security related engagements and his primary focus is on Cyber/ Business Resilience Strategy & Planning, Crisis Management, Cyber risk, Security Incident Response, Governance, Risk & Compliance strategies & solutions, Vulnerability Assessment, Penetration Testing, Sox Compliance, Network, communication, data and voice infrastructure, Information Security advisory & implementation, IT Due Diligence review, IT Strategy ERP audits, Application reviews and Vendor Evaluation. 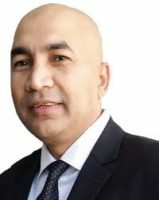 Syed Almas Kabir, CEO & shareholder of MetroNet Bangladesh Limited and Managing Director of AyAl Corp, has been associated with the ICT industry for the last 29 years. He studied Electrical Engineering at Jadavpur University, India and did his Masters from New York University, USA. He was attached to academia as an Associate Professor of Computer Science and as well as in administrative roles for more than 12 years. Almas Kabir’s MetroNet is the pioneer and the most trusted data-communication company in the country offering IT Enabled Services nationwide. MetroNet’s Contact-Centre Solution Software is popular among call-centres operated by many multinationals. MetroNet is a Gold Partner of Microsoft and Palo Alto Networks, Advanced Technology Partner of Cisco, and has been working in high level network security domain and in the FinTech solutions industry. Syed Almas Kabir is the Chairman of Humac Lab Limited, a mobile app based services company with two local & international award-winning products. He is also the Chairman of NewsEllo Limited, a news aggregating service having presence in 36 countries. Almas chairs the Board of Telefonica Global Limited, an international call-centre offering BPO services. Syed Almas Kabir is the President of BASIS and served as Senior Vice President, Vice President, Treasurer and Director in the past. 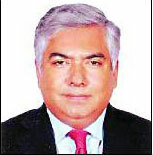 He has been the Convener of the Standing Committee on Telecom, ICT & Intellectual Property Rights of Dhaka Chamber. Almas has been elected as the President of American Alumni Association (AAA) for the second time. Currently, he is also the Vice President of Bangladesh-Malaysia Chamber of Commerce & Industry. 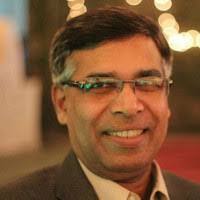 Mr. Kabir is the Co-Chairman of two FBCCI Standing Committees on e-Commerce and Telecom & IT. He was elected as the National President of Junior Chamber International Bangladesh (JCI) and St. Joseph Old Boys’ Foundation. He also served as the International Councilor of JCI Asia-Pacific Development Council. Almas is the Member-Secretary of Traffic Management & Community Policing Committee of Gulshan-Banani-Baridhara-Niketan under the purview of Dhaka North City Corporation. He is also the Founder & Advisor of IUB Alumni Association (AiA). Almas Kabir was the Convener of BASIS SoftExpo 2017. The US State Department awarded Mr. Kabir as International Visitor in their Leadership Program (IVLP). He was awarded the Global Networker pin from JCI. He was the Team Leader of the Bangladesh Delegation to CeBIT 2013, 2014, & 2015 in Hannover, Germany and presented keynote-paper on Outsourcing Opportunities in Bangladesh at IT Investment Summit in Copenhagen, Denmark. Almas represented the ICT industry in Prime Minister’s delegation to multiple countries promoting investment. 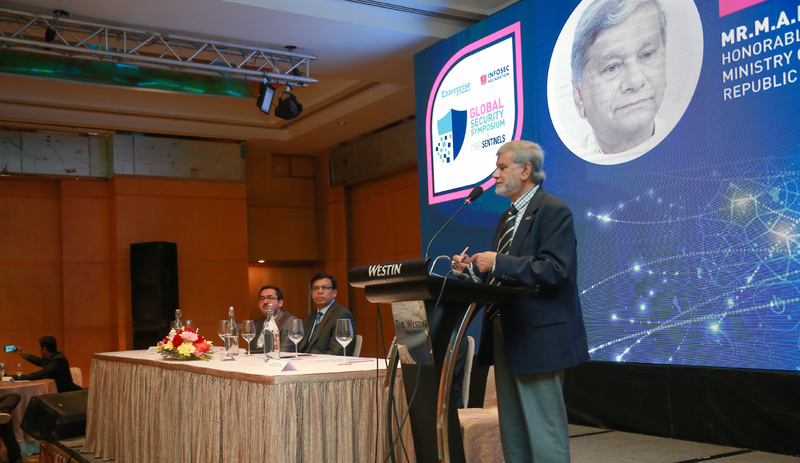 As BASIS President, Almas initiated an ecosystem for growth for the member companies by making agreement with a renowned legal firm for free legal counseling, arranged free advice on Intellectual Property from Bangladesh IP Forum, negotiated collateral-free loan with Midas, launched ERQ-based BASIS-branded credit card for software & ITES exporters, created an e-Gov Cell in BASIS to assist government in preparation of RFP & evaluation of tenders in upcoming government projects, signed MoU with PUM – a Dutch company that will train & help in capacity building, started Automated Member Services System, and taken steps to overhaul the BASIS website to make it an interactive platform for showcasing expertise of member companies. Syed Almas Kabir may be reached at Almas@Metro.Net.bd or at Facebook.com/AlmasKabir and LinkedIn.com/in/AlmasKabir. To connect with him on Twitter, please use the handle @AlmasKabir. 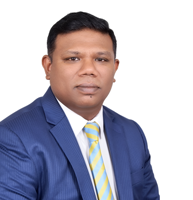 Shaerul is a C-Level Information Technology Professional, with expertise gained working for more than 27 years in business, delivering the highest quality services to optimal standards. 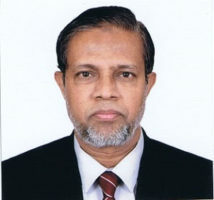 Starting as President of Notre Dame Computer Club in 1989, and moving on to forge a successful career as a Software Developer, contributing to a variety of industry verticals and developing a particular expertise in Application Development, Internet Service Providing, Commercial Banking, Mobile Network Operations, Central Bank Automation (Country Head of Singapore Technologies for Central Bank of Bangladesh Automation funded by World Bank), Mobile and Agent Banking, Finance and Audit (KPMG, Australia), RMG and Textiles, International VOIP Gateway, Healthcare and Pharmaceuticals. 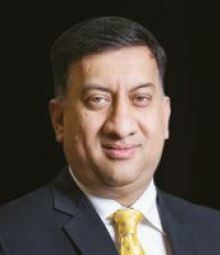 Shaerul is currently working at EPIC Group in Hong Kong as Vice President (Information Technology) and Country IT Head. Shaerul has always had a highly inquisitive mind, combined with the initiative and courage to take groundbreaking, game changing decisions. Passionate about IT, Shaerul has contributed to industry verticals internationally; laying a foundation for resilient and long-term transformational business change. 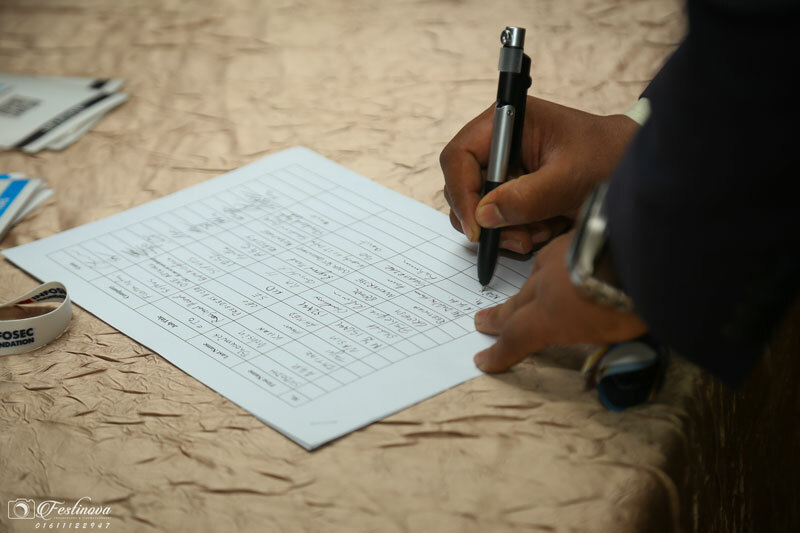 Equally, Shaerul is proud for the green credentials of initiatives he has participated in and proud, most of all, for having made a difference. Shaerul completed his Bachelor’s Degree in Engineering from Bangladesh University of Engineering and Technology (BUET) and his first Master’s Degree in Business Administration prior to moving on to study for his Master’s in Cloud Computing (AWS and Azure). 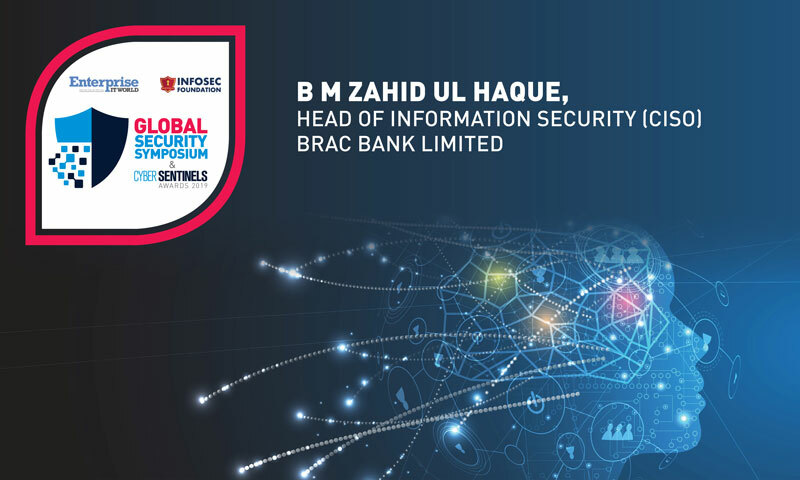 B M Zahid ul Haque is the Head of Information Security (/CISO) of BRAC Bank Ltd. He is overall responsible for Information Security strategy and improvement initiatives of this one of the top bank in Bangladesh which is the 1st bank with ISO 27001:2013 Certification in the country. Developed enterprise information security framework, Ensuring data integrity, confidentiality and availability of information as well as controls on how data is processed by the organization. He also provides Information Security services & consultancy to BRAC bank subsidiaries. He is a Multi-Certified & Cyber security Expert having 16 years of management experiences in Information Technology, Information security, Risk, Governance & Compliance having multiple professional credentials (include CISSO, CISM, CPEH, CCSM, CLFE, PMP, LPM, LITGM, LA 9001, LA ISO 27001, LA 30301, COBIT 5, CPISI, OCP, MCTS), Certifications (include ITIL, Security+, CPM, CNE, CBM, CSAD, CSE, COOL, CPPM) and MSc in Computer Engineering. 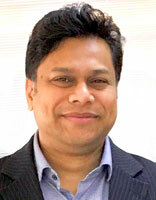 After graduating as a Computer Engineer, he spent a number of years in various capacities in IT development & services, banking, education and consultancy in Bangladesh and Abroad. He is a member of ISACA, CTO Forum, OWASP and founding secretary general of ISSA Bangladesh Chapter. He has been awarded several times include National award for Cyber Security initiative. He is a Cyber Security trainer, writer and International speaker. 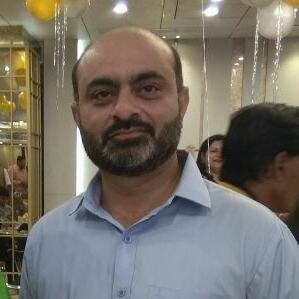 He has over 15 years of experience in Information Systems Planning, Design, Implementation, Operations, Control, Auditing and Management Domain having tackled various assignments in the areas of Information Security, Service Support, Service Delivery, Software Implementation, Systems Integration, Datacentre, Project Management and Training. His Career ranges from Computer Operations, Software Development, to being an Expert and now an IT Governance & Compliance Expert. 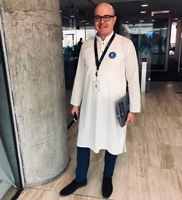 He is a dynamic leader of transformational financial technology, who has experience on integrating new business initiatives with various digital fintech solutions. As a Head of ICT of multinational bank with age of 100+ years, he is continually providing support to business with strategic technology directions for operational efficiencies, saving the cost and protecting the business with information security controls. A well-organized IT Governance expert, practitioner with international certification of CISA, COBIT5, ISO27001, ITIL Expert, PRINCE2, ISO2000-1, ISO9001 and many more. 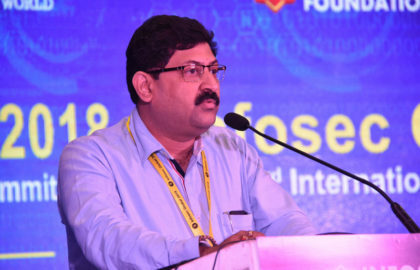 He has served in various domains and in various capacities as System Engineer, Designer, IT Manager, Technical Head of ICT, Head of IC Governance & Compliance, IS Auditor, Project/Program Manager, Systems Integration Manager, Consultant, Chief Consulting Officer (CCO) and Chief Operating Officer (COO). Mr. Rahman has completed more than 100 IT projects under different companies & capacity. 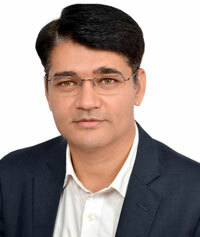 Mr.Tapan Sarkar, Founder President CTO Forum, Managing Director ADN Edu Services Ltd. 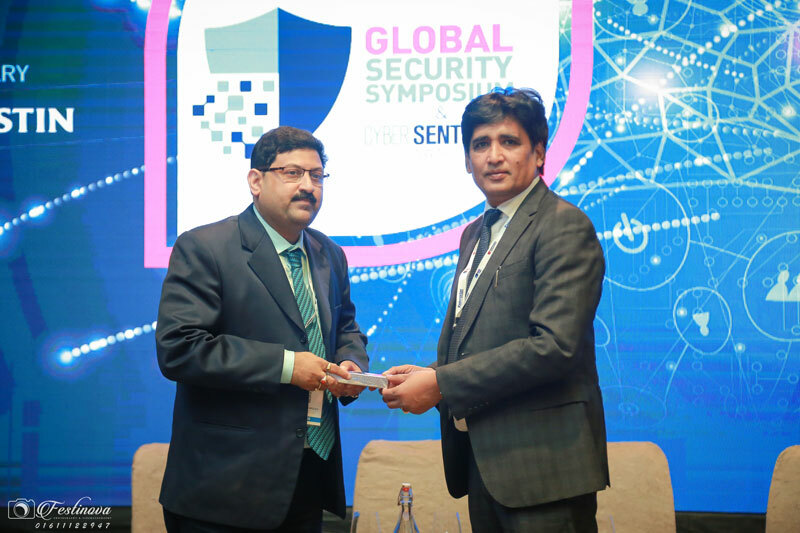 Safeguard your future and master the skills to navigate the depths of the dark web and cyber threats at Global Security Symposium & Cyber Sentinel Award, Bangladesh 2019– one of Asia’s fastest growing IT security shows. The Enterprise IT World Cyber Sentinels Awards will recognize and honor outstanding contributions of top Enterprise Leaders who has setup and transformed the cybersecurity framework of their organizations with breakthrough innovation and implementing the latest technologies. 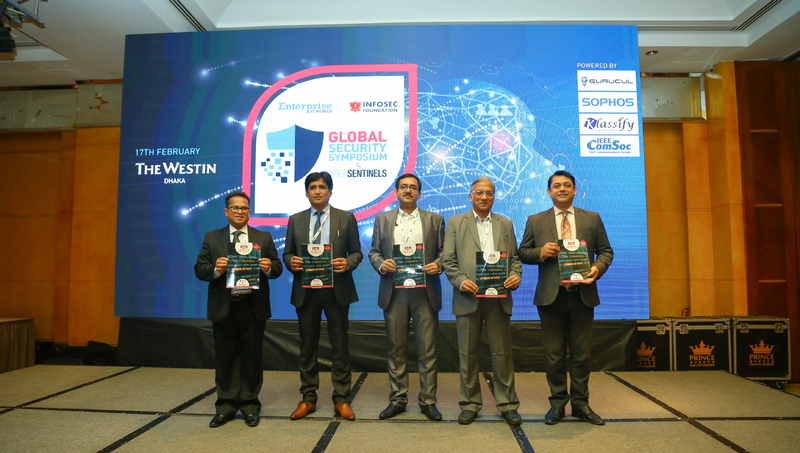 The award winners will be judged by a Jury consisting of Eminent Cyber Security Experts, Veteran CISOs, and industry analysts who have worked in, and studied Bangladesh’s IT Security landscape over many years. The selection will be done based on the performance of CISOs and contribution to the security and growth of their organization. A recognition of CISOs in the city of Dacca for their innovation and leadership role in cyber security. Presented by Enterprise IT World on 17th February 2019 Bangladesh. 200 industry renowned CIOs, CISOs, CSOs, Information Security Heads and Enterprise Information Security Leaders. 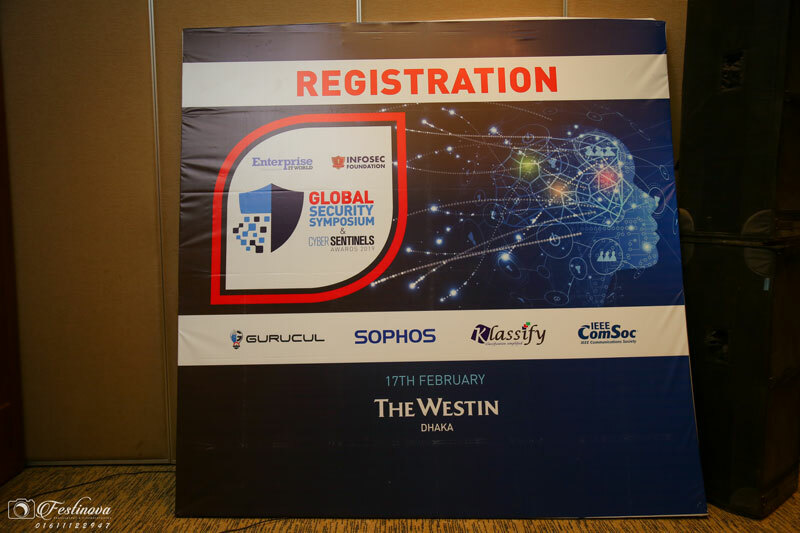 The CISOs attending the Symposium will not only enhance their security knowledge with industry peers but will also get their hands on the latest tools and technologies in the domain at the Security Technology Exhibit Area. If you are a security leader in a leading organization, this is the place to be.